I came across this thing-a-ma-bob on Flickr, photo set courtesy of Andrew Huff. According to a YouTube video, the egg cuber was made in 1977. There's no doubt it is one of the most pointless items ever invented - unless you're paranoid about them rolling off your plate, who the heck needs to square their hard boiled eggs? 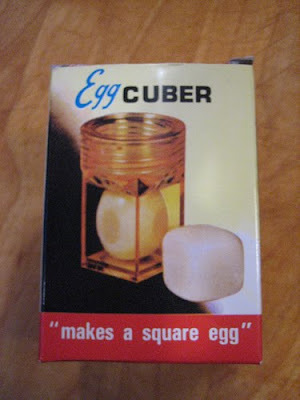 And would you serve these with squared bagels? 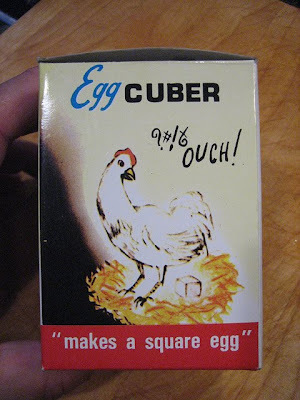 It is good for some laughs, though - especially that poor chicken letting some expletives fly on the packaging! That is probably one of the funniest ads I have ever seen. Funny I never saw an infomercial back in the day. I wonder what they offered in the "Wait, there's more..."? Someone mentioned Bento boxes, and ornate food art. Except we don't do Bento here in the west. Now there would be a product fail! Haha! 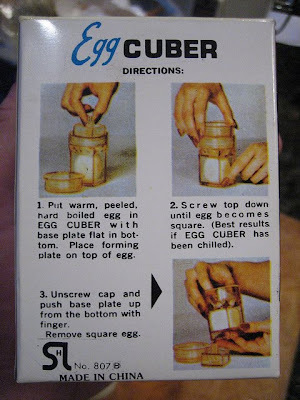 I remembered I had one when I was kid, offered as a gadget in a children magazine. I remember that one! It was supposed to make slices even for salads, etc. 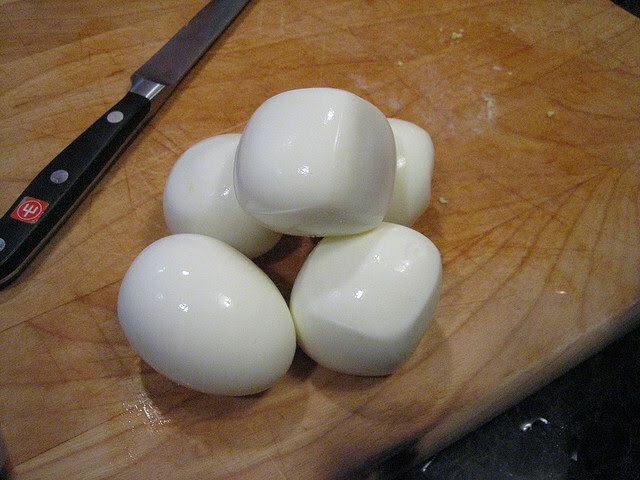 so you didn't wind up with the smaller and smaller pieces of egg. Oh, and there is a thriving bento market in the US, with several websites dedicated to it. It's great for getting picky kids to eat lunch. I have the egg molds that turn boiled eggs into cars and fish for my toddler and he loves them. We HAD one of these!! 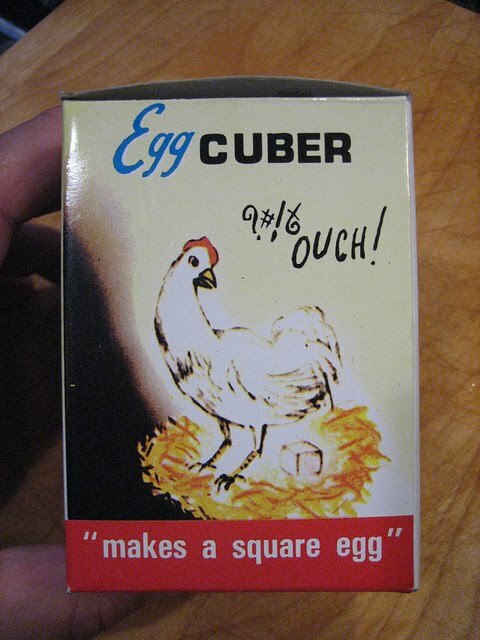 It was so silly, but fun to squish the eggs. I think it was supposed to make your party platters more decorative! Thanks for the memory!